THIS PROGRAM HAS BEEN CANCELLED DUE TO SCHEDULING CONFLICT. 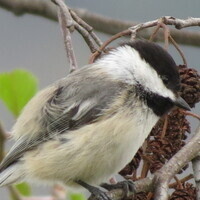 Come learn the about Birds and how they survive the winter if they do not migrate. This program is designed for homeschool children ages 7-17. Registration is required. Please do not include parents in the registration. Please indicate age of child in registration comments.